This set of 12 Luminarc Cachet Perfection Stemless Wine Glasses will allow you to enjoy your wine in the most comfortable and stylish stemless wine glasses. They are appropriate for fine wine enjoyment as well as for casual and comfortable sipping. These glasses are the ideal choice to give to family and friends, and will be appreciated and used by all. 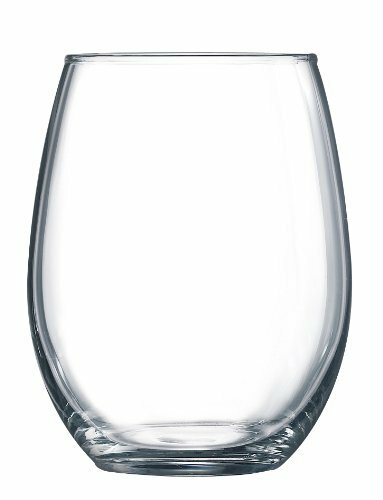 Luminarc Cachet Perfection Stemless Wine Glasses hold 15-ounces of your favorite wine and are practical for everyday use or special occasions. Luminarc Glasses are made from durable, high-quality, shatter-proof glass. These wine cups are easy to clean without breaking and are top rack dishwasher safe. The stemless glasses are easy to hold onto and perfect for serving red or white wine at a wedding reception. Buy this set of 12 today and never be caught short when you’re entertaining guests.